5 foot 7 1/2 inches tall, weight 149 pounds (68kgs), chest 34-37 inches, fair complexion, grey eyes, light brown hair, false upper teeth, bottom teeth good. William Ross was born at Oamaru on 20 January 1895, the third son of Harry (1861-1933) and Jane Selina (1863-1943). He received his education at the Oamaru South School, and volunteered for war at Timaru in early August 1915. At this time he was employed as a farm hand for Mr T Simpson at Albury, and nominated his father Harry, who was employed as the Oamaru Borough Foreman and living at Arun Street, Oamaru, as his next of kin. On his enlistment papers he was described as being aged 20, single, C of E, 5 foot 7 ½ inches tall, weighing 149 pounds (68 kgs), chest measuring between 34 – 37 inches, had a fair complexion, grey eyes, light brown hair and his upper teeth were false, the lower teeth were good. At a social and dance at Albury on 20 August Ross, along with other local volunteers, was presented with a set of military brushes. 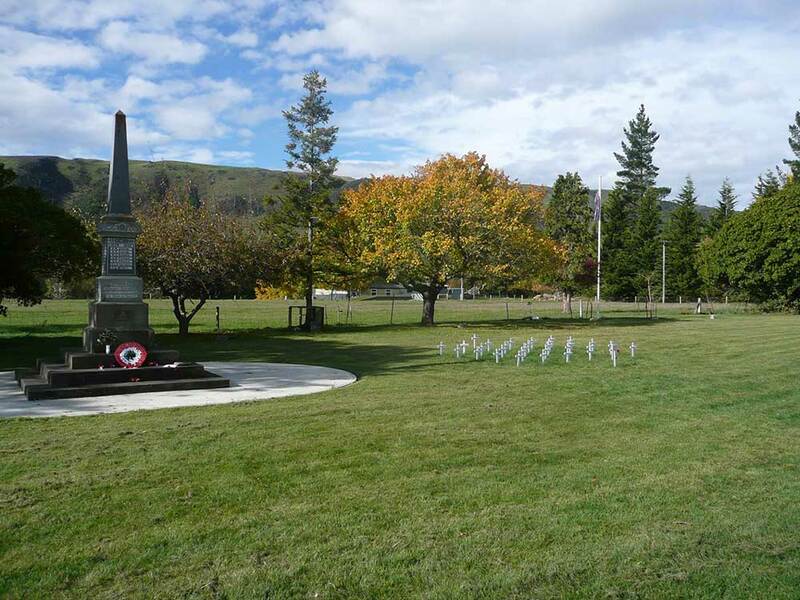 On 25 August, after a farewell at the local Drill Hall led by the 8th Regimental Band, he marched to the railway station with the other local volunteers to catch the overnight ferry to Trentham. The next day he was posted to C Squadron 8th (South Canterbury) Mounted Rifles, a part of the Canterbury Mounted Rifles, and issued with his basic uniform, rifle and bayonet. He underwent seven weeks of intensive infantry training before he left from Wellington on 9 October. Part of the 7th Reinforcements, Canterbury Mounted Rifles, he travelled aboard HMNZT33 “Navua” in a convoy with four other ships: HMNZT30 “Maunganui”, HMNZT31 “Tahiti”, HMNZT32 “Aparima”, and HMNZT34 “Warrimoo”. Brief stops were made at Albany in Australia on 21 October, where they linked up with the Australian contingent. They then sailed on to Colombo, arriving on 4 November, where the troops had a short shore leave, before passing through the Red Sea and arriving at Port Suez on 18 November 1915. During the voyage they were kept busy cleaning their gear, undergoing exercises and rifle drills. Boxing was also a popular sport aboard where all could take part, being matched with others of the same size and ability. On arrival they entrained to the training base at Zeitoun where they would join the badly depleted Canterbury Mounted Rifles when they returned from Gallipoli in late December. Training continued until 23 January 1916, when they left for the Canal Zone, taking up new defensive positions on the Canal, before moving to the railhead at Ferrypost on 7 March. When most of the New Zealand Expeditionary Force sailed for France in April 1916, the NZMR remained in Egypt as part of an Anzac Mounted Division which was helping defend Egypt against the Ottoman Turks. Their task was to destroy or neutralise the Turkish bases in the Sinai Peninsula. On 2 December 1916 Trooper Ross was admitted to the 26th Casualty Clearing Station (CCS) in the field with diphtheria, and then transferred to the 31st General Hospital at Port Said from 5–31 December before discharge back to duty at Port Said. He returned to his unit on 31 January 1917, but was again admitted to hospital in the field on 8 February. A short time later he was transferred to 24 CCS at Kantara on 19 February, then to the 24th Stationary Hospital at Abbassia on 26 February. Next he was transferred from there to the Aotea Convalescent Hospital at Heliopolis on 2 March, until discharged to the NZ Base at Moascar on 24 March. There he was appointed to the position of cook in April before again being admitted to at Abbassia with gastritis on 31 May. The remainder of 1917 was to be spent in and out of various hospitals, before a short spell back with the Training Regiment in the field from November 1917 to March 1918. He was then admitted to hospital with gastritis (again) and malaria. He was to spend the most of 1918 again in and out of hospital, with a short spell back with his unit from 28 June to 20 July. Finally, on 30 October the Turks signed an armistice. On 27 November he left with his unit from Kantara, embarking on HMT “Huntscastle” with the 7th Australian Light Horse Regiment, to return to the Gallipoli Peninsula to monitor the Ottoman compliance with the terms of the armistice. On 1 December the ship spent the day anchored at Lemnos, where the first signs of influenza that was to sweep much of the world appeared among the men. Disembarking began onto Gallipoli on 6 December where most of the men were billeted in a hospital on the eastern side of the peninsula. One officer and 24 men were immediately evacuated with influenza. A total of 92 men were sent to hospital during the rest of the month with eleven men to die from disease. On 21 December 1918, Trooper Ross was one of those who died of influenza at the Chanak Hospital, aged only 23 years. He was buried in Chanak Consular Cemetery (known locally as the English Cemetery - Ingiliz MezarliGI). William’s father was later sent a scroll and plaque along with his medals, which included the 1914-1915 Star, British War Medal and Victory Medal. 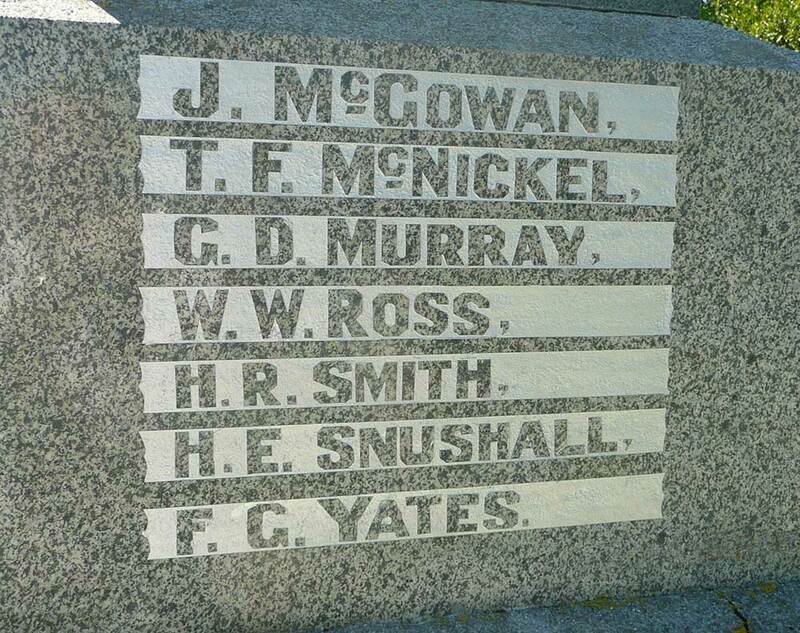 His name is inscribed on his parent’s grave in the Oamaru Cemetery, along with his brother Alexander John, and also on the Oamaru and Albury War Memorials. William’s brother Alexander also served as 8/811 Sgt A.J. 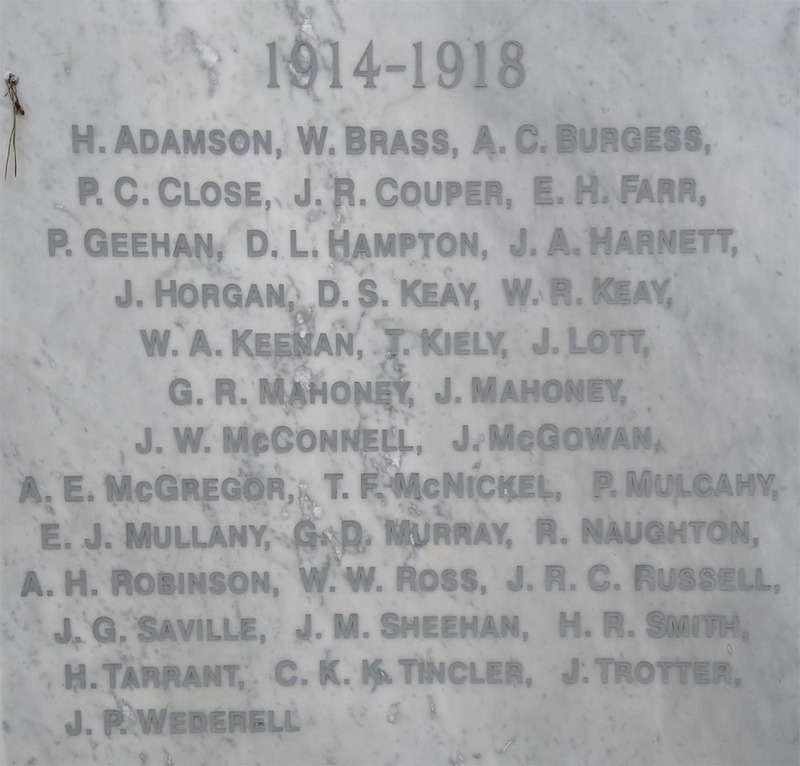 Ross with the Otago Infantry Battalion and was killed in action on Gallipoli between 1-23 May 1915, his name being listed on the Lone Pine Memorial.